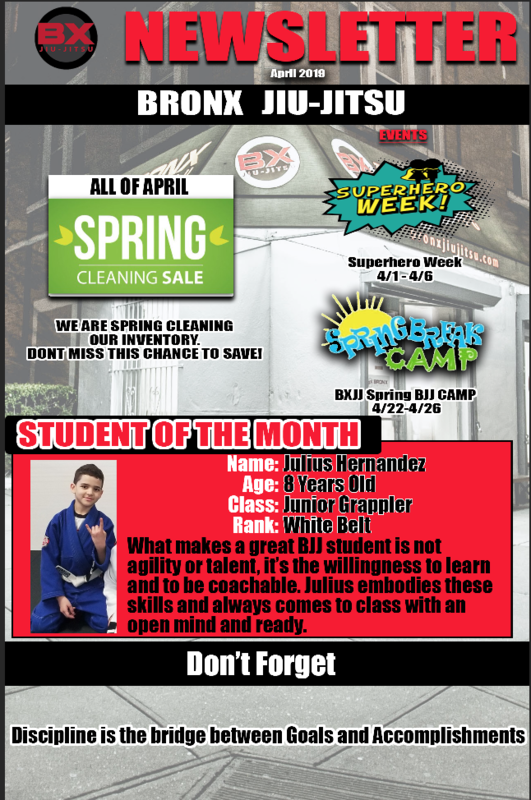 Check out what's happening at BXJJ this month. This month we celebrate our 7 year anniversary! Julius Hernandez earns Student of the Month. 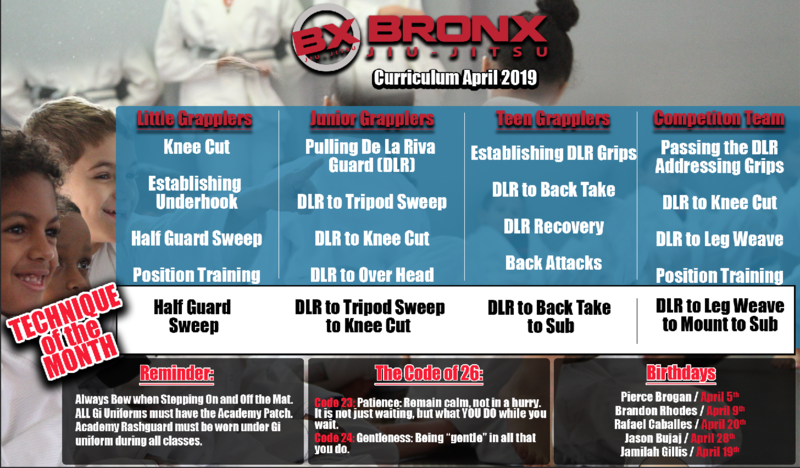 We recap this past weekend's Tap Cancer Out Event and gear up for future competitions, Superhero Week, Spring BJJ Camp and More.